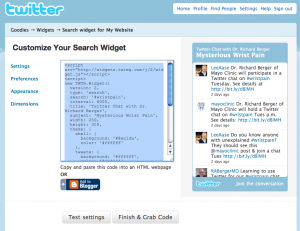 embed a Twitter search widget in your blog in a post on in the blog’s sidebar. 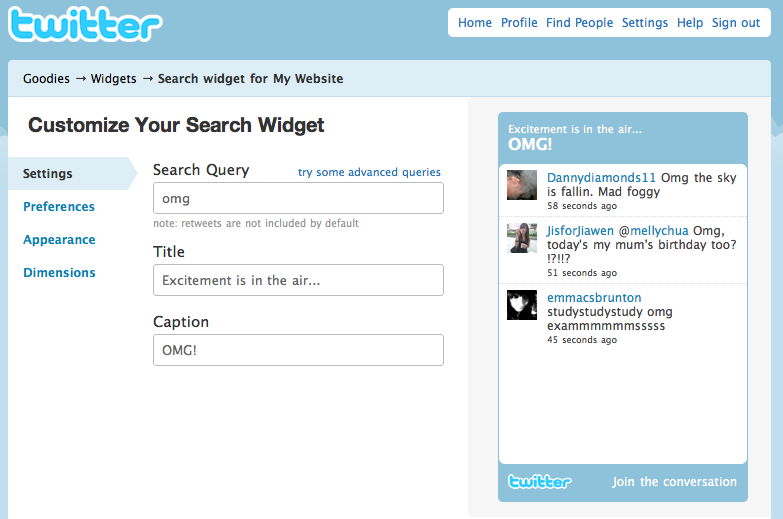 So I thought it would be good to give a step-by-step course on how to set up a Twitter search widget. 3. You can adjust appearance and other settings if you want, but all you really need to do at this point is click the “Finish & Grab Code” button, highlight the code by clicking on it, and copy it to your clipboard. 4. Go to your self-hosted WordPress blog (the process is similar for Blogger or Typepad) and either create a text widget for the sidebar, or a new post into which you want to insert your widget. When you create your username in WordPress or WordPress.com, it has to be all lowercase letters (or numbers) with no spaces. That doesn’t look very professional when you username is associated with a post or a comment on your blog or someone else’s. There are several other customization options to which I briefly allude in this screencast, but the two I’ve listed are the most important, in my opinion. Update: You can view the screencast in the SMUG group in Facebook. Here’s another advantage of self-hosted WordPress over WordPress.com, particularly as Facebook has extended the functionality of its video player. 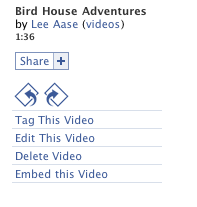 For each video you have uploaded to Facebook, you have an option to embed it in your blog. Which is what I did below, and you see the results. I had not indicated any privacy protections on this video, so you should be able to see it. Please let me know if you can’t. This is an Aase family classic, in which I discuss the ins and outs of our birdhouse project with my firstborn son. Jake demonstrates exceptional bravery in completing the conversation even after receiving a grave injury. 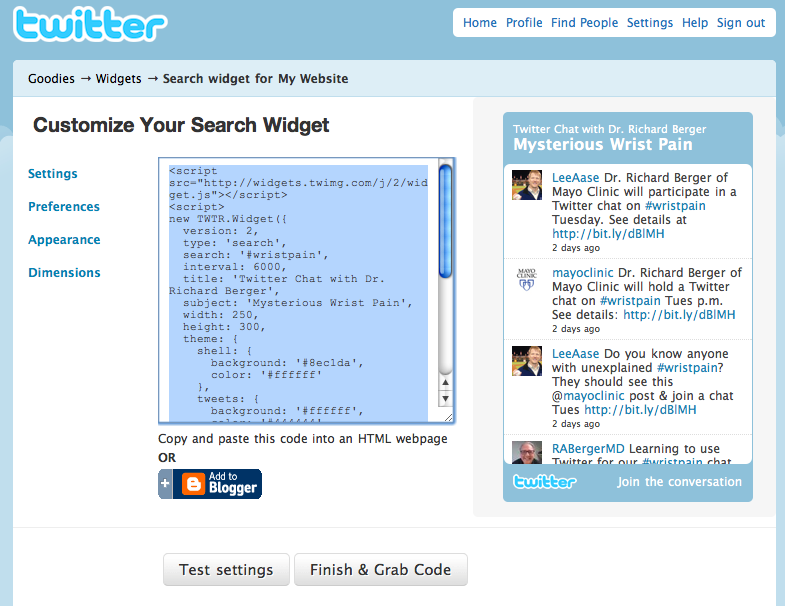 This slidecast is part of the Twitter curriculum at Social Media University, Global. 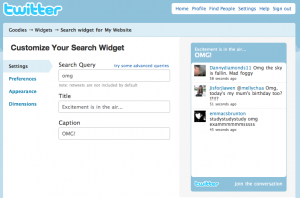 It takes you step-by-step through the process of creating your Twitter account. Below is a narrated slidecast from slideshare.net. If you like, you can click this link to open another browser window at the Twitter home page, and then come back to this window and start the slidecast. 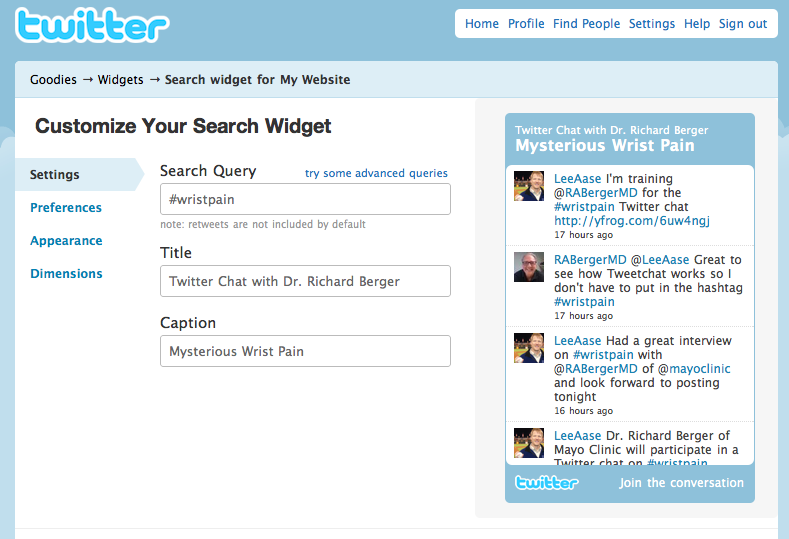 Hit the “pause” button whenever you’d like, and go back to the other window and do your own Twitter signup. Creating an account in Twitter really isn’t that hard, but if you’re just starting I thought having this step-by-step illustration might be helpful. Follow me on these two Twitter accounts, @LeeAase and @SMUG_U. I’ll follow you back. 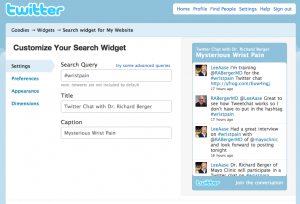 And that will enable us to create a much more interactive community of SMUGgles as we learn about Twitter together. When writing a blog post in WordPress, as I will demonstrate in the video screencast that accompanies this course in the Blogging curriculum at SMUG, you can format your text in many ways, similar to what you do in Microsoft Word. And the toolbar is much like what you are familiar with in Word.